This mint strawberry jam cocktail is perfect for all of your summer parties and barbecues. Serve it in a mason or jam jar for an extra special touch! 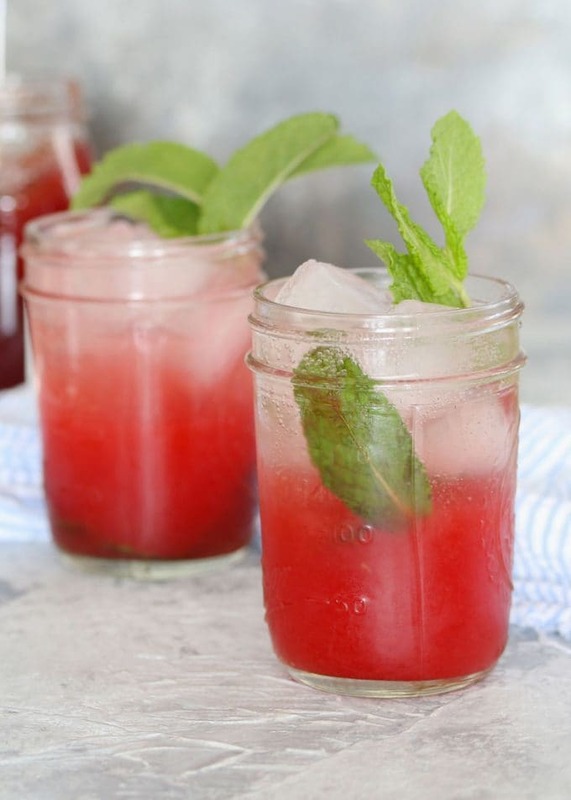 With summer barbecue and party season just around the corner, I thought it was high time to bring you another easy cocktail recipe. Easy cocktails are my favorite. For example, my lemon blueberry vodka spritzer and gin raspberry fizz recipes are about as easy they get. I don’t like to use strange liqueurs or exotic ingredients. I have before just in case you were out at the store and picked up a random bottle – I want to help everyone out. For the everyday person, however, its going to be difficult to recreate those cocktails. I will leave all that jazz to your local mixologist. 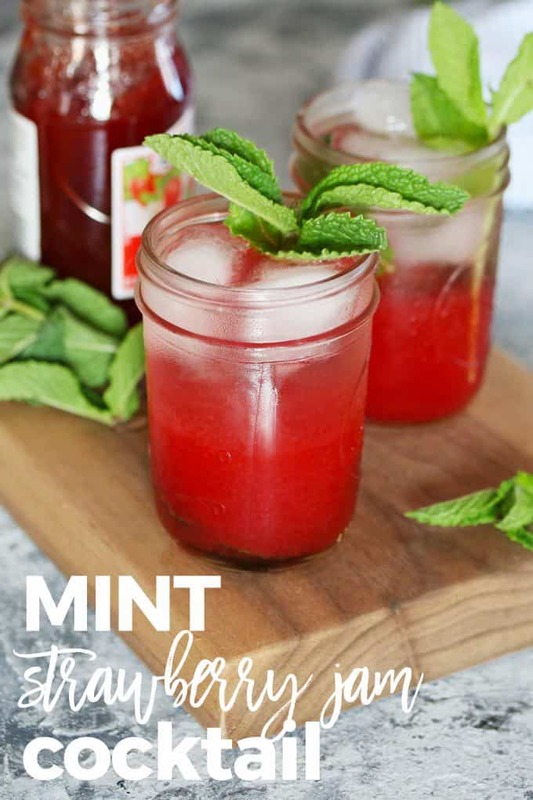 This mint strawberry jam cocktail get’s it’s “jazz” from seedless strawberry jam and a little muddled mint. Muddling may sound difficult but it’s pretty easy. My favorite wood muddler stands tall among my bar tools and I use it more than you could imagine. For those that don’t have a muddler, use the back of a long spoon and push carefully. The real kicker for this drink is the strawberry jam. I don’t know about you, but we always have a jar in the house. It’s great on toast, on peanut butter sandwiches, and now, in cocktails. If you only have jam with seeds you can use that too but you’re going to have to do a lot more shaking and straining. Those seeds are going to make the drink look a little dirty and it will lose it’s smooth taste. 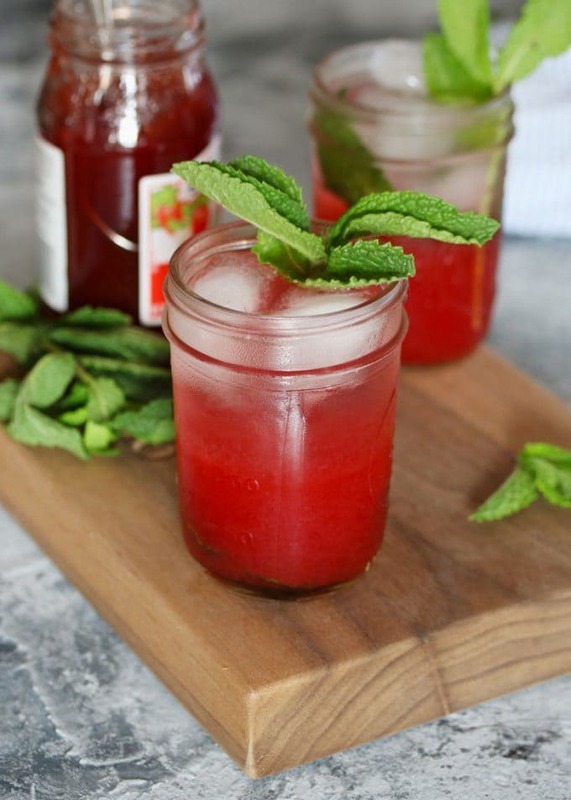 My mint strawberry jam cocktail recipe also calls for grenadine or simple syrup. Grenadine always tastes a little sweeter than simple syrup to me but I think it’s more likely to be in your fridge. If you want to make some simple syrup, combine equal parts water and sugar in a small pot and cook until the sugar has dissolved. Then let it cool before you use it. I use such a small amount however that you may just want to buy some grenadine. Lucky for you, all of the ingredients, including the grenadine, can be found on Peapod. 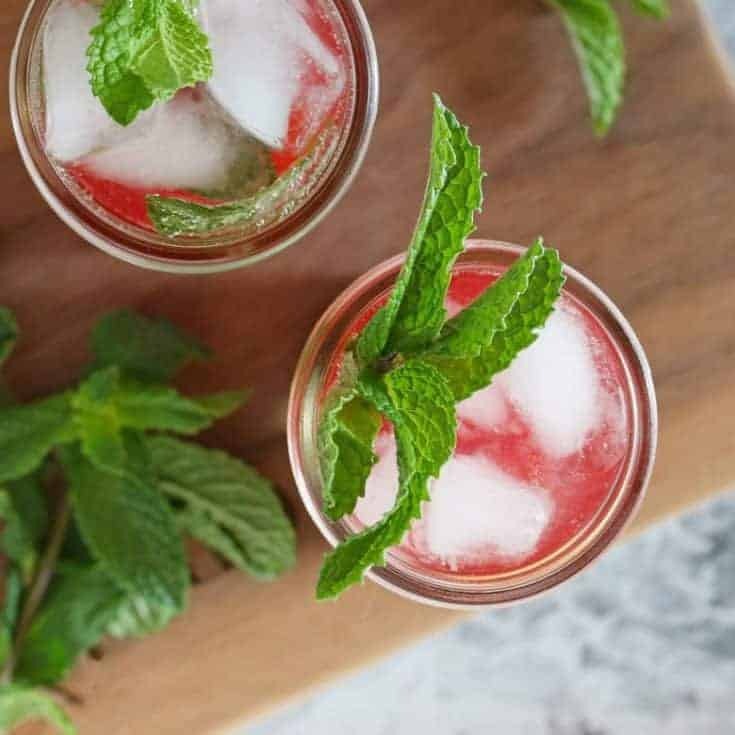 This strawberry mint jam cocktail is perfect for all of your summer parties and barbecues. Serve it in a mason or jam jar for an extra special touch! 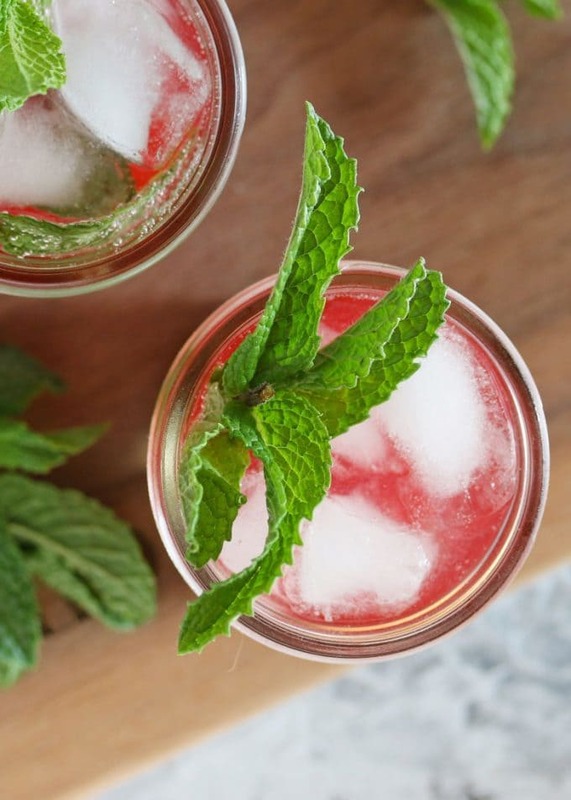 In a cocktail shaker bottom, place your mint leaves. Place a muddler in the glass and press down gently until you begin to smell the mint. Transfer the muddled mint to 2 rocks glasses. Fill the glasses with ice. In the same shaker, add the strawberry jam, vodka, grenadine and several ice cubes. Shake vigorously for 15 seconds. Strain the jam mixture into the rocks glasses over the ice. 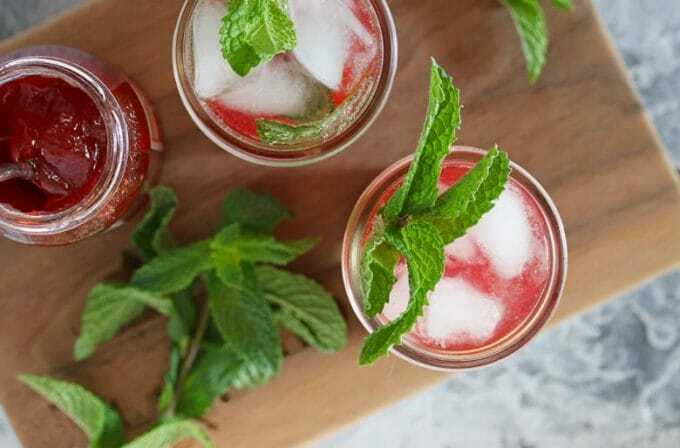 Top each glass with soda water and garnish with mint leaves. This recipe was first published on FromThePod.com. I love how it makes the separate layers. 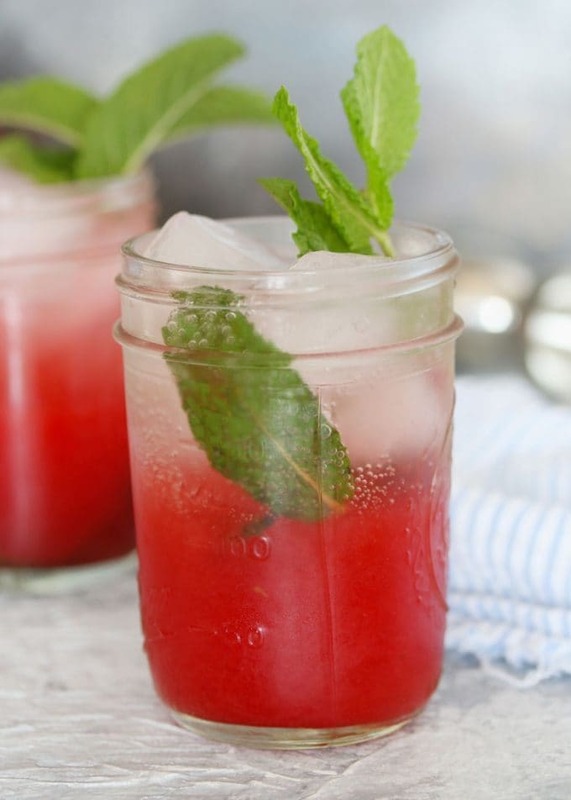 Strawberry and mint go really well together. What a brilliant idea! 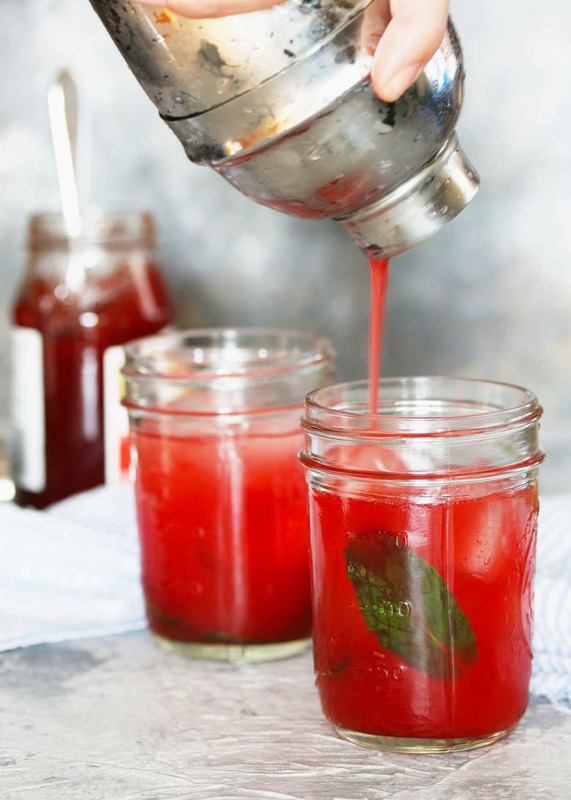 I’ve never thought to use jam in a cocktail, but need to start doing that immediately. These cocktails are so festive! Yes, please!! This is cocktail is fantastic!! Can’t wait to try it! What a brilliant idea! I would have never thought of this, but who doesn’t have jam in the fridge? I have to try this!! What a great idea to use jam! I need to try these!